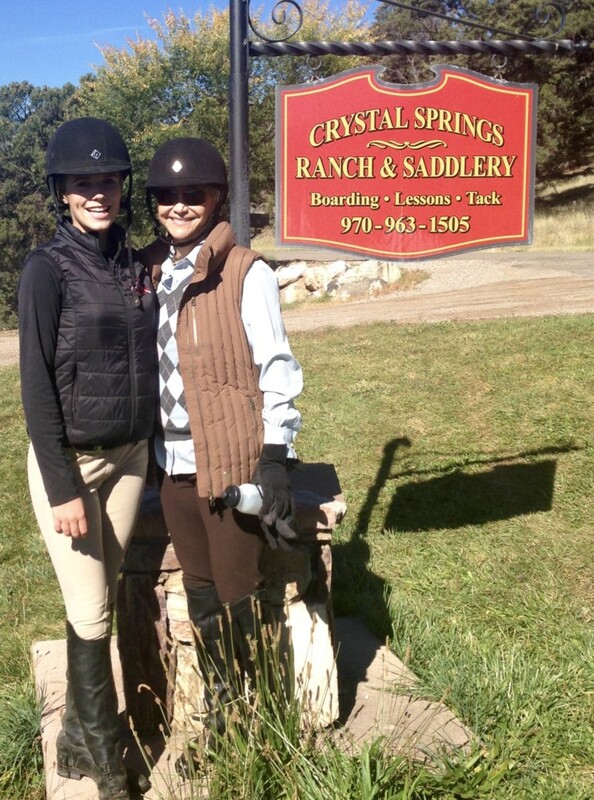 Kathy Weiss and Crystal Springs Ranch & Saddlery have been serving Aspen and Roaring Fork Valley, Colorado, Equestrians for the past 38 years. Horses have such an impact on all of us. They are amazing animals that have served mankind well for thousands of years. Horses not only teach us about riding, but leave an imprint on our soul, heart and mind. Horseback riding is an individual sport which enables us to learn about ourselves and self-discovery on our own schedule. Students gain physical coordination, mind/body synergy, body awareness, mental & physical discipline, multi-tasking and sportsmanship in a “safe place”: Crystal Springs Ranch. The gift and responsibility of caring for another living -thinking-feeling being is a lesson learned that stays with the rider for the rest of their life. 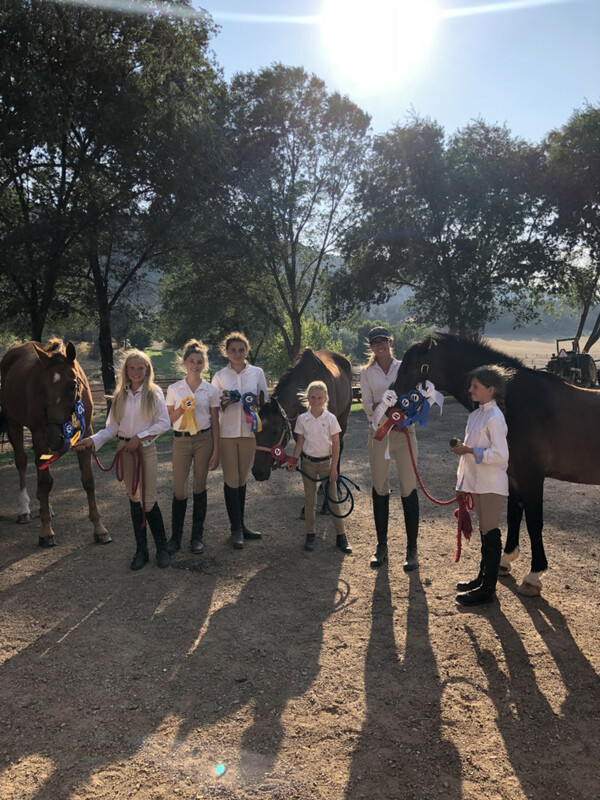 Crystal Springs is privately owned and beautifully maintained Equestrian Center that provides everything necessary for the well being and success of students, riders, horse owners and horses in a beautiful and peaceful Ranch setting. The Year- Round Riding School has an outstanding selection of Ranch owned and trained horses and ponies to learn on. Crystal Springs Ranch is home to the Valley’s Original Kids Summer Riding Camp, established 1983. 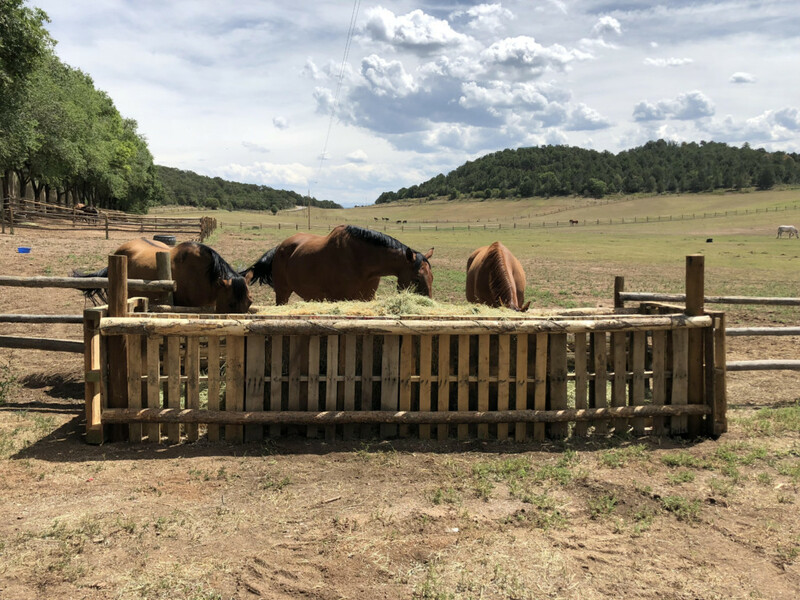 Crystal Springs Ranch is THE PLACE where horse crazy kids learn how to ride, basic horsemanship, equine care, and vaulting (gymnastics on the moving horse), while having fun and making new friends. MAIN STALL BARN is attached to the indoor riding arena. The Stall Barn has 15 rubber -matted box stalls, wash racks, tack rooms and bathroom. The HAY BARN is just across the way, where dozens of chickens live in a natural environment happily eating insects. BACK BARN- 5 stall, rubber matted Barn with its own tack room and feed storage area and paddocks for lease on Dry Stall basis. Lease includes use of the Arenas and Trails. RIDING ARENAS: Crystal Springs Ranch has a large 100′ X 200′ sun filled indoor arena that is insulated and lit. The dust free footing is ideal for the Sport Horse. In addition, there are 2 outdoor arenas: larger is 150’X300′, smaller is 70′ X140′, plus 2 round pens. PADDOCKS-20 paddocks in various sizes surround the Indoor & Outdoor Arenas. PASTURE/TURN-OUT- 70 acres of lush grass pasture with post & rail fencing divided up into various sizes. 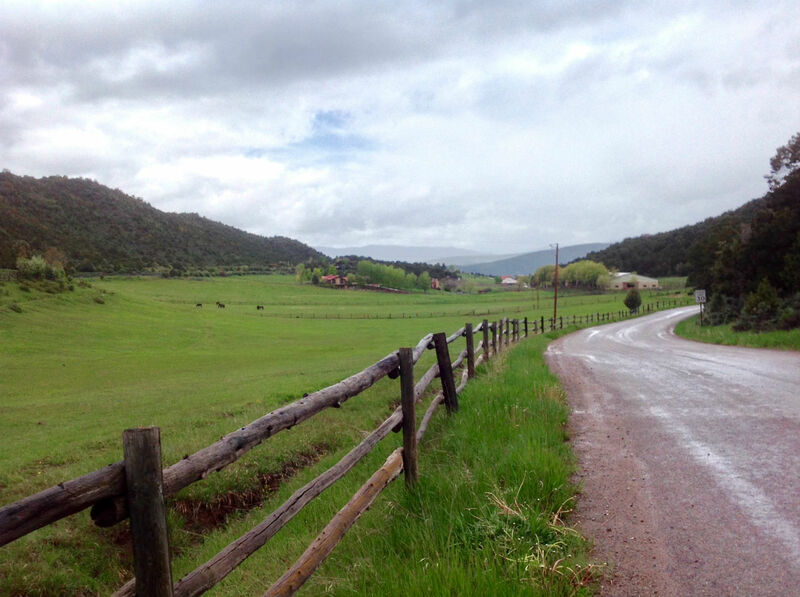 BRIDLE PATH/TRAILS- there are miles of private trails on the Ridge above the Ranch. TACK STORE– Crystal Springs Ranch is home to Crystal Springs Saddlery. 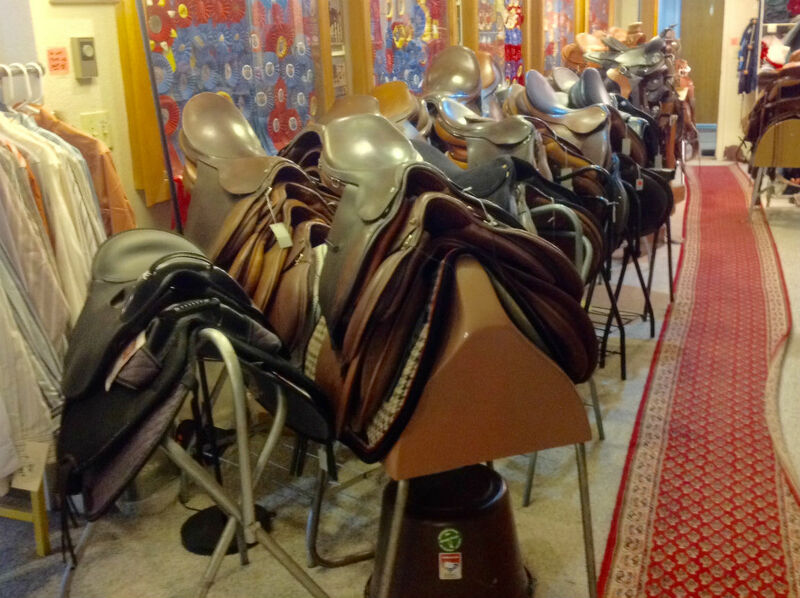 We are the Roaring Fork Valley’s full service English Riding Saddle Shop. The store carries both new and consigned English Riding Wear: helmets, boots, breeches, shirts, show coats and gloves. We carry saddles, bridles, girths, saddle pads, horse blankets & boots plus grooming supplies. RIDING SCHOOL– Crystal Springs operates a Year-Round English Riding Academy. We have our own wonderful school horses & ponies to teach from. Our Instructors are professionals with solid backgrounds of riding & teaching experience. THE KIDS SUMMER RIDING CAMP- every summer since 1983, Crystal Springs Ranch teaches horse crazy kids how to Ride and Care for horses correctly. Each fun-filled 5-hour day is spent with the horses: grooming, riding and vaulting (Gymnastics on the Moving Horse- like Circus Riding). Camp runs from Mid-June to late August, Mondays thru Thursdays 10am-3 pm. We hold 2 Horse Shows for Campers only during the Season. For more information CLICK HERE.